Wetherby is an ideal centre, situated on the main A1 south to north road, for exploring the many varied delights of Yorkshire. The town is an attractive Market Town with a Charter going back to 1240. It is situated on the river Wharfe and is well worth exploring. 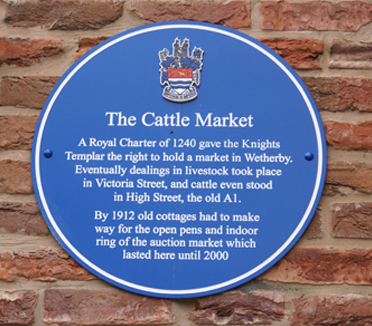 An Historical Trail conducts visitors around the town centre and gives a fascinating insight into Wetherby's past. Leaflets on the Trail are available in shops, including Castlegate Stationers, and the Library. Historic buildings are marked by blue plaques along the Trail. Wetherby is 12 miles from Leeds, 12 miles from York and 8 from Harrogate Rewarding days out to the Yorkshire Dales, the North Yorkshire Moors and the East Coast are easily arranged from Wetherby. A Tourist Information service is provided at Wetherby Library at 17, Westgate.